1. 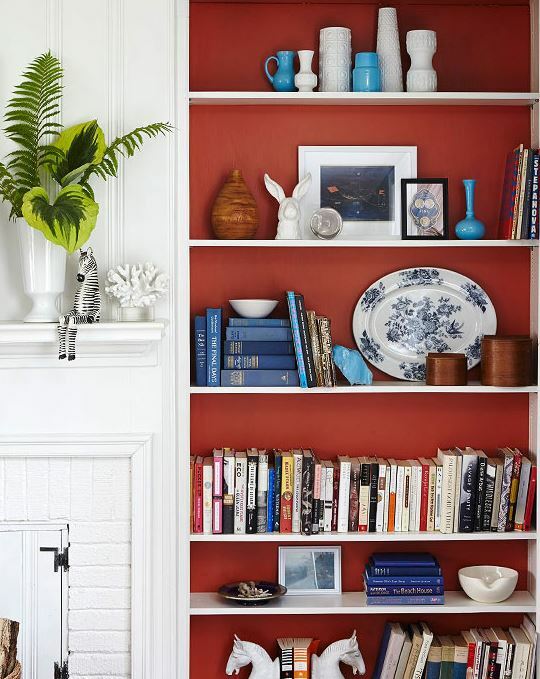 Add a splash of color to bookshelves – What a difference a coat of paint can make to the back wall of a bookshelf! Help your knick-knacks stand out by adding a contrasting color as a background. 2. 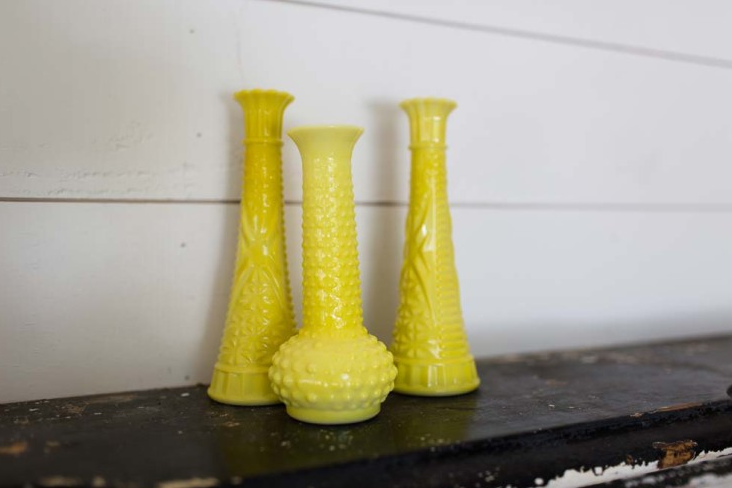 Color coordinate some accessories – Pick up some clear glass vases or some acrylic bookends at your local thrift shop and paint them for a cheap and easy way to add color to any room! 3. Shades for your Staircase – You know how the backs of your wood stairs can scuff and typically are painted white? There’s really no reason they have to be white, and adding color to this area can help lessen any scuff marks. Plus, it just looks cool! Note: you don’t have to paint a rainbow, but you could! 4. 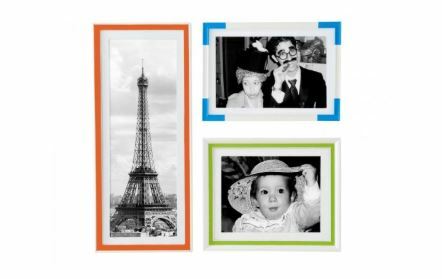 Frames with some Flavor – Particularly if you have a collection of black and white photos to display, we love the idea of adding a little color to the frames that draws the eye. a. Paint your light-switch plates – so simple and easy! b. Add a new hue to your baseboards. c. Paint the window frame or windowsill on a small bathroom window. d. Paint the inside of drawers – though nobody but you may see it, it will make you happy. 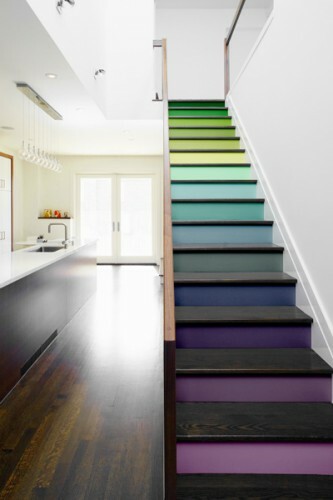 There are tons of other ways to add some color to your home by using leftover paint and we’d love to hear your ideas! Share by leaving a reply below! P.S. When your home is looking good, you’ll want to keep it that way, so check out our team’s advice on essential home cleaning tools. This entry was posted in Creativity, Hollywood Storage Center and tagged Calabasas, Camarillo, Hollywood Storage Center, leftover paint, painting ideas, storage unit, Thousand Oaks by Hollywood Storage Center. Bookmark the permalink.